We are excited to release the forty ninth coin in the CollecTons Keepers program, an exclusive series only offered by CollecTons. 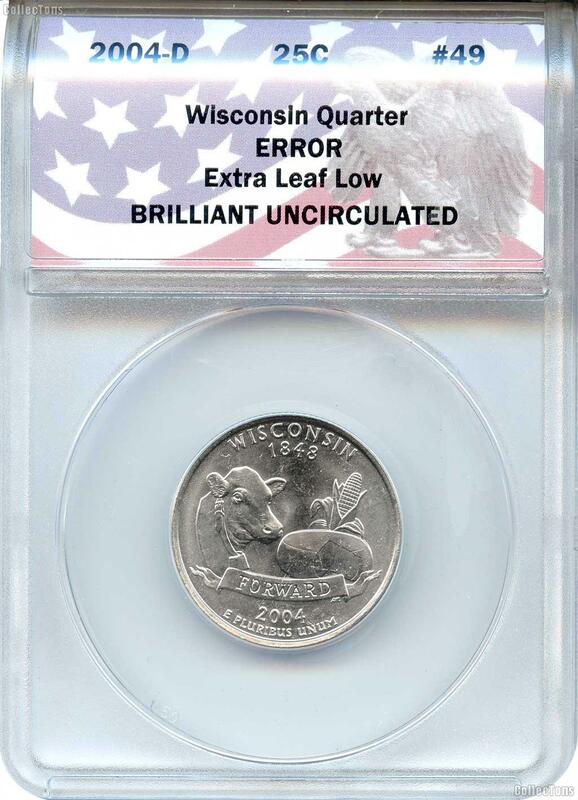 CollecTons Keeper #49 in the Series features the 2004-D Wisconsin Quarter Error Coin with an extra low leaf, Certified Brilliant Uncirculated in an Exclusive ANACS Holder. 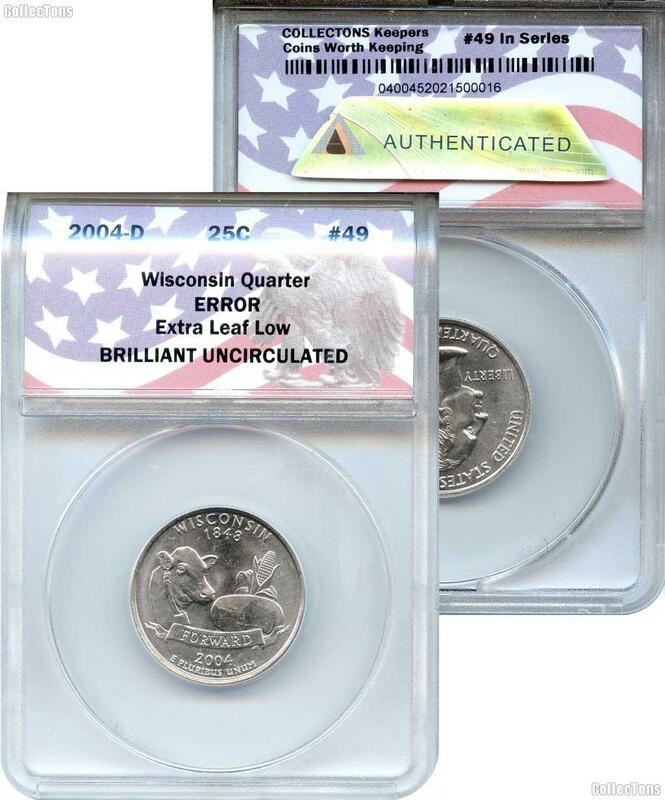 Within a two week span towards the end of 2004, 453 million Wisconsin quarters were minted at the Denver Mint. Among those, a few thousand were released containing a strange variant of the corn stalk. An extra leaf appears on some of these coins, one with a leaf that is fat and pointed down, and another with a leaf that is turned up. CollecTons Keeper number 49 features the variant known as "Extra Leaf Low", meaning it has the leaf pointed down. It isn't known how the extra leaf appeared on the die or why it is different from the official die the quarters were meant to be struck from. It appears that the act was done deliberately by an unknown employee of the U.S. Mint. It is not believed that the coins are misstrikes but rather strikes created from physically altered dies. When asked, the U.S. Mint Office simply responded "The United States Mint is looking into the matter to determine possible causes in the manufacturing process". All things considered, it is unlikely that we will ever have a clear explanation as to why or how these dies were modified! What makes the CollecTons Keepers program special? 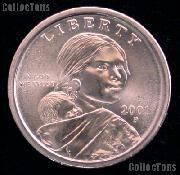 Here at CollecTons, we work hard researching coins that should be part of every collection. Our goal is to utilize our knowledge in the numismatic industry to select coins worthy of being in everyone's collection! Therefore, the CollecTons Keepers program will only feature those Coins Worth Keeping. 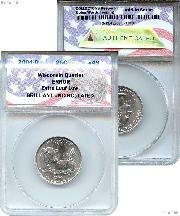 Each coin is hand selected and given to ANACS (America's Oldest Grading Service) for grading and authentication. 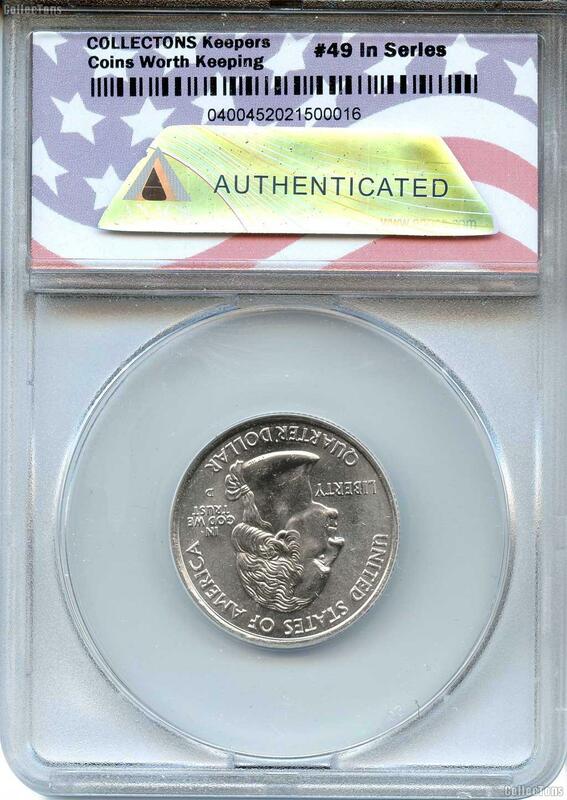 The coins are then sealed in an ANACs certified proprietary slab holder for long-term storage, with our limited edition label marking it a CollecTons Keeper. Collect one or collect the entire series!